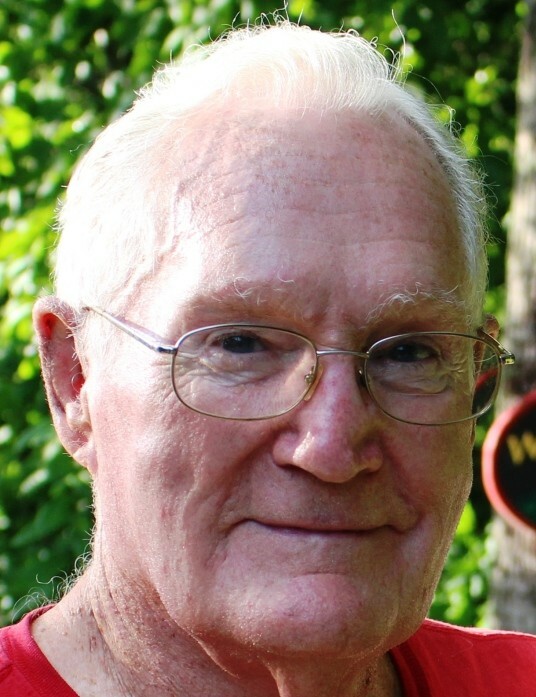 E. Charles (Chuck) Watkins, 86, of Lake Lure, North Carolina went gracefully home to be with the Lord on January 21, 2019, at the Elizabeth House in Flat Rock, NC. Born on February 14, 1932 in Bath, New York, Chuck was the youngest child of the late George and Flossie Watkins and was preceded to heaven by five sisters and three brothers. Chuck is survived by his wife of 64 years, Joselyn Watkins; daughter Laura Wardwell and husband Dr. James Wardwell; daughter Leslie Watkins and husband Dr. Doug Moore; son Dr. Clayton Watkins and wife Marie; and, the youngest daughter Melanie McMaster. Chuck and Joselyn have been further blessed with 10 grandchildren and one great-grandchild. Charles’ early years were full of farm chores and as he was much younger than his siblings, he became playmates to many of his nieces and nephews. He was active in 4-H and won many competitions in cow judging and traveled throughout the Northeast and Canada. He was also a stellar musician, playing in All State band as a flute/piccolo player and was often asked to step in as interim student director. Chuck contracted juvenile paralysis (Polio) in high school and spent six months in Ithica Reconstruction Home for treatment as he recovered, leaving him with minor neurological dysfunction of his right leg. Despite his infirmity, he ran track at Alfred University where he received his BS in Ceramic Engineering. He also met the love of his life, Joselyn, and they were married during college. Chuck's employment began at Mosaic Tile in Zanesville, Ohio. His second employment was with Armstrong Cork Research in Lancaster, PA and moved to Millville, New Jersey as a chemist in their Glass Packaging Materials Division. He then accepted a position with PPG Industries during the 70's in glass research in Pittsburgh, PA eventually moving into their fiber-glass division in Lexington, NC where he finished his career. Chuck provided glass consulting for many years traveling extensively to accomplish that work. After retiring, Chuck and Joselyn moved to Lake Lure in the early 90's where he was very active in many community activities. He was a Commissioner for the Town of Lake Lure from 2003-2007; a first responder at the Fairfield Volunteer Fire Department; and, was a founding board member of Lake Lure "Flowering Bridge" serving as co-chair responsible for the infrastructure supporting the formation of the gardens physical plant. In addition, Chuck was commissioned by the Town of Lake Lure to write the standard operating procedures of the Lake Lure Damn along with William Grimes’ assistance. Chuck loved playing tennis through his adult life and later pickle ball and dragon boating. There was always fun in his life including ping-pong, cards, a multitude of other games and many jokes. His love of animals and nature was always present and he also enjoyed bird feeding/watching. He was a talented carpenter, a skilled plumber, and electrician and loved to fix things. He built many additions onto his own homes and helped with many extended family projects. He was also on three building teams through the church and traveled to Mexico, Old Panama and Romania. He and Joselyn attended the Episcopal Church of the Transfiguration and he sang in choirs throughout his life. Chuck led his life with grace. He was a man of impeccable character, never met a stranger and was touched and respected by everyone who knew him. A memorial service will be held in Chuck’s honor at 1:00, Saturday, March 16, 2019 at the Episcopal Church of the Transfiguration in Bat Cave, NC with a celebration of his life to follow. Further details will be forthcoming. In lieu of flowers, the family requests memorial contributions to be made to the Episcopal Church-Transfiguration Choir https://www.ectransfiguration.org/, Lake Lure Flowering Bridge http://lakelurefloweringbridge.org/donate/ , or the Fairfield Mountains Volunteer Fire Department at 1415 Buffalo Creek Rd, Lake Lure, NC 28746.